Join us for Beaverton’s annual Tree Lighting Ceremony and German Holiday Market happening Friday, Nov. 30 and Saturday, Dec. 1 at City Park. BEAVERTON, Ore. – The community is invited to celebrate the holiday season at the city’s annual Tree Lighting Ceremony and German Holiday Market. Join Santa Claus and Mayor Denny Doyle for the Tree Lighting Ceremony on Friday, Nov. 30. Performances begin at 6 p.m. at City Park located at SW Hall Blvd and SW Third Street, with the tree lighting at 7:30 p.m. 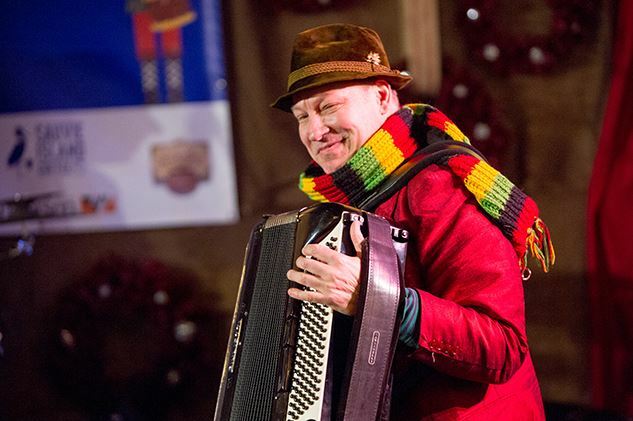 Following the tree lighting, there will be a musical performance at 8 p.m. in the German Holiday Market entertainment tent. The market is open from 10 a.m. to 8 p.m. at City Park. Visit and take your photo with Santa from 10 a.m. to 3 p.m.
For more information, visit www.BeavertonOregon.gov/TreeLighting or call the community events hotline at 503-526-2559. In case of inclement weather, check the website or call the hotline on the event day for updated information. On Friday, Nov. 30, SW Fifth Street between SW Hall Blvd and SW Watson Avenue will be closed, and SW Hall Blvd will be restricted to one lane northbound in the area, beginning at 5:30 p.m. The City Park parking lot will be closed to the public from Thursday, Nov. 29 to Sunday, Dec. 2 for event set up and clean up.